While Hillary screams ‘what happened?’, ‘reality’ answered: ‘Trump happened’ and ‘the American people happened’, the same thing that’s happening now to Hollywood and is getting ready to happen to the rapidly self-disintegrating NFL. While across America, much of the talk revolved around the 200 or so NFL ‘stars’ who kneeled or sat during the national anthem in ‘defiance’ of President Donald Trump, neglected by most of the mainstream media were those burning team gear and the emptying NFL stadiums. With the American people choosing more and more to speak with their wallets and pocketbooks, withholding their hard earned dollars from thick-headed jocks, many of them who still haven’t realized they’re being once again manipulated by the same ‘Democratic plantation‘ that blacks have been suppressed by for many decades running. Protesting against the American flag, the very symbol of the nation that has allowed them and their families to live the lives of kings with riches far beyond what most Americans have seen and could ever dream of for playing a kids game, claiming systematic ‘oppression’ while bringing in a steady 7 or 8 figure check will never cut it. Especially when more blacks are still being killed in black on black crimes in far greater numbers than those killed by the police or the government. While we’ll never say that the ‘free America’ we live in doesn’t have major problems as we rushed onwards towards a ‘police state’ during 8 years of Bush followed by 8 years of Obama, if President Donald Trump is attempting to rush America full speed ahead into completing that ‘dictatorship’, he’s doing an awfully bad job of it. Still urging Americans to take advantage of the 2nd Amendment here and purchase weapons, anybody paying attention to history knows a well armed American public is a dictators worst enemy. And remember, President Trump has also recently reminded the American people that Hillary wanted to take the guns away! And while some may scream ‘racism’, honoring or dishonoring the American flag isn’t a ‘race’ thing anyways, it’s a ‘patriotism’ thing and as ANP readers are well aware, for many, many years now the globalists, and specifically ‘the left’, have done everything they’ve possibly been able to to discourage patriotism in America. As we’re now seeing in photographs and the videos at the bottom of this story, former NFL fans are burning their team jerseys, game tickets and other team goods in an unprecedented message to NFL owners and players who are pushing to segregate America. We’ve also heard that next Sunday is ‘burn an NFL jersey day’ so this ‘war’ against high paid jocks who don’t have a clue about what ‘oppression’ really is has clearly just begun. 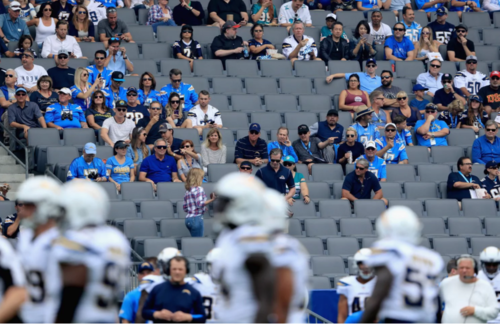 Yet with even the Washington Post now forced to admit that NFL games just aren’t the same any more, the ‘must buy’ ticket of past years replaced by emptying stadiums, if the American people have their say, we’d expect 2017 will be the worst NFL season in many years with those who love America tuning off those who’ve proven they don’t. While we’ll quickly admit that the right to protest in America separates our nation from many others, violent protest such as that being carried out by Antifa is not LEGAL protest and merely a tool of dictatorship. And INFORMED protest is even more important because as we’ve seen in one Antifa demonstration after another, anybody calling themselves ‘Antifascist’ while attempting to silence the rights of another to speak freely is completely clueless to reality. While we strongly commend NASCAR owners for threatening to fire any driver who refuses to stand during the playing of our nation anthem, contrary to what we’ve seen from ‘America-hating’ NFL owners, as we’ve seen in the NFL starting last year with Colin Kaepernick, Americans are abandoning it ‘en masse’ as seen in the top rated comments from this Daily Mail story screenshot below which call out hypocritical jocks for disrespecting the nation that’s allowed them to live like kings. The new story over at Jets Wire was titled “Jets Won’t Have Much Home-Field Advantage In Return To Metlife Stadium” for a very good reason as seen in the photograph at the top of this story, the stadium was expected to be half empty. 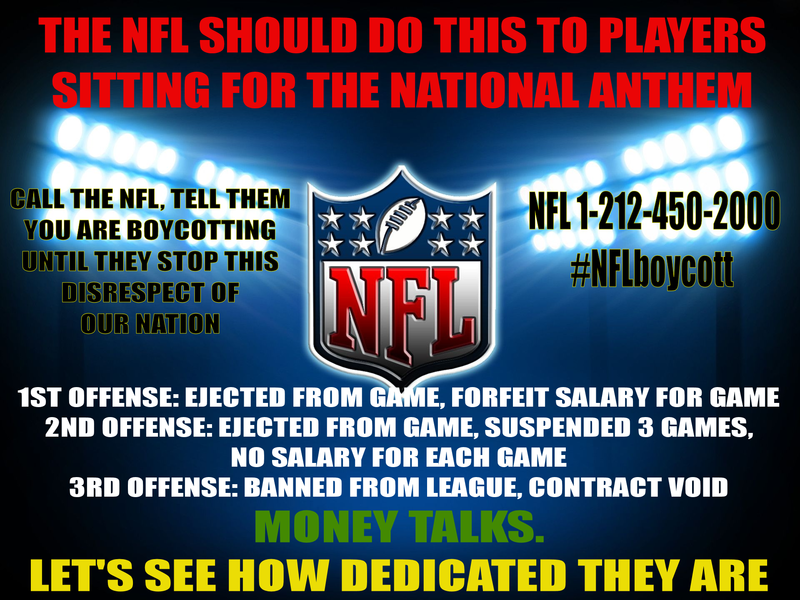 We agree with President Trump asking Americans who love our country to boycott the NFL as long as these athletes getting paid millions for playing childrens games can’t understand that their so-called ‘protest’ has been disrespecting the very men and women who’ve sacrificed their lives to allow them to be ultra rich. And some of those very same people, including Black Lives Matter, need to LOOK WITHIN to find the source of much of their anguish, black on black crime in crime infested and collapsing neighborhoods where children raise children and a huge percentage of black fathers are in prison. 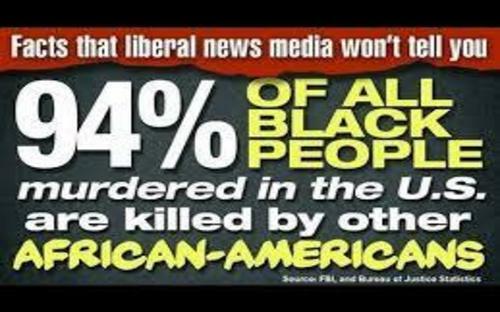 According to this August of 2017 story from ‘The Week’, most Americans have an unfavorable view of Black Lives Matter and worry that black crime is the biggest concern, a concern shared by many paying attention to ‘real news’. While the mainstream news media continued to hammer a racial divide into our nation during the 8 years of Barack Obama, they were also sure they’d have another 8 years with Hillary Clinton in office, a plan that clearly didn’t work out for them. While Hillary screams ‘what happened?’, reality answered ‘Trump happened’ and ‘the American people happened’, the same thing that’s happening now to Hollywood and is getting ready to happen to the rapidly self-disintegrating NFL. If you’re a former NFL fan who decides in the days or weeks ahead to burn your jersey or other NFL gear and decides to post that ‘protest’ on social media, please be sure to send us a video URL and we’ll work it into a future #NFLBoycott story. Thanks again to our great friends at All News Pipeline!